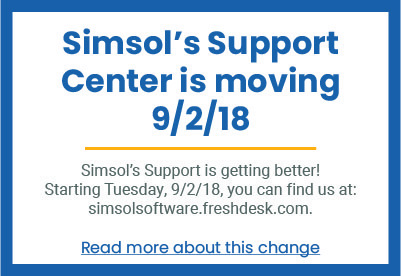 Welcome to Simsol's Support Center! Legal Statement: It is your responsibility to research the accuracy, completeness, and usefulness of all opinions, services, and other information found on these sites. Simsol assumes no responsibility or liability for any consequence resulting directly or indirectly any action or inaction you take based on or made in reliance on the information, services, or material on any of Simsol websites or resources.